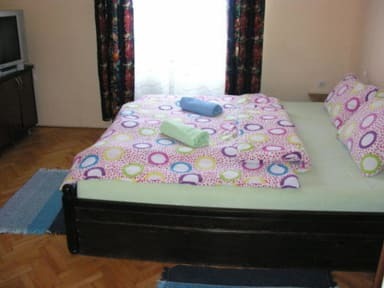 Welcome to hostel Podbara, located in the peaceful and traditional part of Novi Sad, only 20 minutes' walking distance from the train and bus station and 12 minutes' walk from city centre. 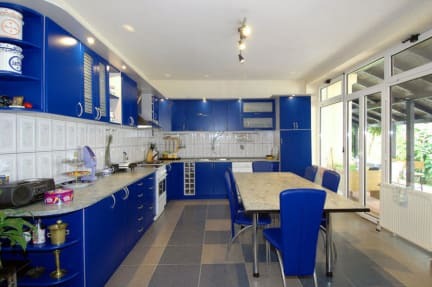 In our spacious and pleasant ambiance your hosts will share cups of coffee, tea, domestic rakija and cookies. Our hostel provides travelers with the service and comfort of a hotel at budget price. All rooms are clean, spacious and comfortable. We don't use bunk beds! The private room types available are: single, double, triple and four-bed room. There are two bathrooms, one with shower bath and another with a bath tub. Our fully equipped kitchen is free for guests to indulge in some of their own home comforts. We're here to make your stay in the hostel pleasant and your smile is the best advertisement for our services.